Highway 402, the 102-km stretch of multi-lane highway that runs between London and Sarnia, is a popular route for travelers looking for a faster way to get to and from the U.S. border. Increasingly, travelers along this route have begun to listen to their stomachs instead of looking at their watches, thanks to a passionate collection of food and beverage producers located just a delicious little detour off the main route. This Next Stop: Taste journey begins in Sarnia, just a stone’s throw from the Blue Water Bridge and the international border between the U.S. and Canada. 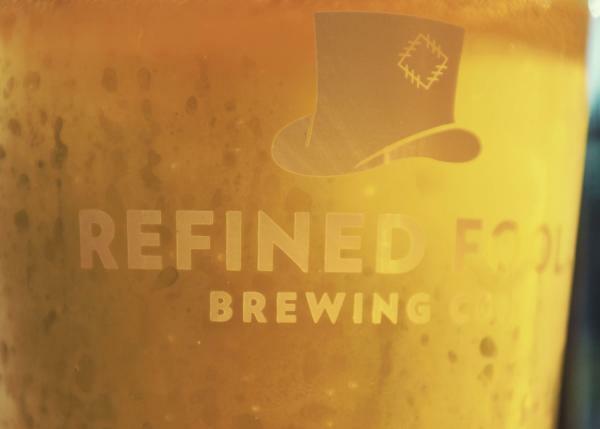 Refined Fool Brewing Co. is a group of teachers, creatives, blue collar workers, entrepreneurs, musicians and pastors who care about beer, business, Sarnia and each other. What started out as a group of friends brewing beer in their houses has evolved into one of downtown Sarnia’s most beloved brewpubs. In addition to an always changing and always delicious collection of inspired craft beers, Refined Fool offers its patrons a casual environment that builds a strong sense of community with popular events like trivia nights, bingo and live music. At the other end of Highway 402, the certified organic lettuces, herbs, greens and micro greens don’t come any fresher than those you’ll find at Slegers Organic Greens in Strathroy. The plants are sold with the root systems intact. That live energy creates more vibrant flavour than anything you’ll find at the supermarket that has been picked and sitting in packaging for days. For a truly stand-out salad, stock up on chef favourites like arugula, cilantro, micro pea tenders, sunflower, corn shoots, and broccoli. The Mixed Micros box is a great choice to try six different greens in one package. 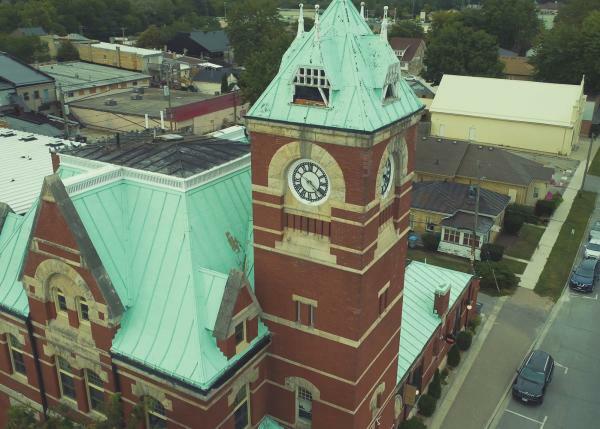 If you can’t wait until you arrive home to get a taste of Sleger’s out-of-this-world greens, plan to enjoy a meal at The Clock Tower Inn, Bistro and Pub in Strathroy. Chef Mark Graham has passion in spades for the region’s farm-to-table ingredients and for the historic post office that he painstakingly restored into a thriving destination restaurant and inn. Chef Mark takes the 100-mile diet to a whole new level with his delicious 30-mile salad, featuring vegetables, eggs, meats and cheeses from his nearby neighbours. 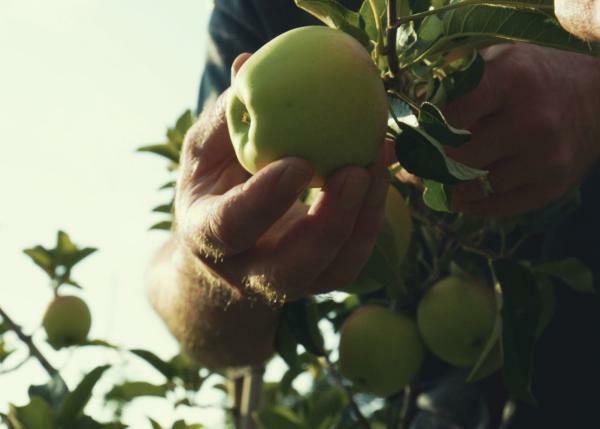 Wrap up your day with a trip to the orchard and get a taste for the award-winning ciders that the Vansteenkiste brothers are creating at Twin Pines Orchards and Cider House. Having caught on to the North American cider trend in its infancy, the brothers have had a solid decade to perfect their craft. Taking a page from the beloved cideries “across the pond,” Twin Pines uses many of the same varieties of apples grown in Britain for their products. They also rely on custom juice blends and age-old techniques, such as “sweating” the apples by keeping them in a cooler for a few months prior to pressing them to round off the acids and mature the flavours of the sugars. This attention to detail and commitment to time-honoured technique may have something to do with the slew of awards you’ll find hanging in the tasting room, including a Best of Show award from the world’s largest international cider competition! While you’re at Twin Pines, stock up on apple preserves and baked goods and take a leisurely stroll along the quiet walking paths that showcase a waterfall and secret garden. Has this Next Stop: Taste tour left you hungry for more? See more videos from this series, download the companion guide or better yet, plan a trip to taste the region&apos;s flavours for yourself. Find great suggestions for an overnight stay and get the latest dining, lodging and entertainment offers. Be sure to sign up below to have the next crop of foodie experiences, offers and events delivered directly to your inbox.